Our in-depth knowledge and industrial expertise enable us to manufacture a distinguished range of Solar Powered Steam Generator. The Solar Genset, offered by us to the clients, is highly demanded due to their durability, reasonable price and long service life. In chemical industry, plastic parts manufacturing facility, biscuits like food products require hot air for their process. By generally their hot air requirement is in the region of 150 degree Celsius and below. Concentrator solar energy combined with air heat exchangers (see the schematic diagram) can deliver quality hot air for processing industries. 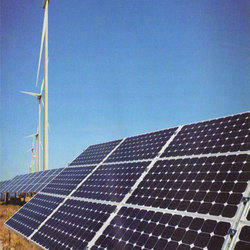 We are engaged in offering Solar Aero Generator to our clients. Our offered Solar Aero Generator is self contained micro controller based unit that is customized to 2 stage Brushless Generator requirement to provide voltage regulations for all load and speed variations. We are the proud partner of Simply Solar, Germany for the design and development of Solar concentrators. pv modules from 200 w onwords. pure sine wave solar power conditioning unit. Most people hear the word generator and straight away imagine a gas or a diesel genset but here we are introducing a generator which runs on solar power. 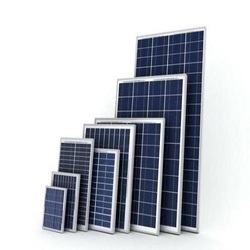 We are the best suppliers of the solar products like solar gen.